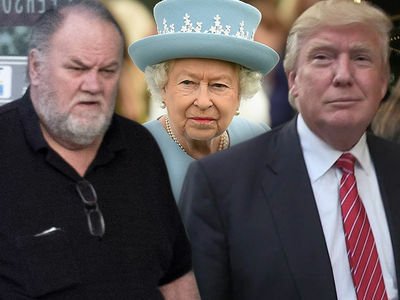 Samantha Markle It's Meghan's Fault If Our Dad Dies!!! 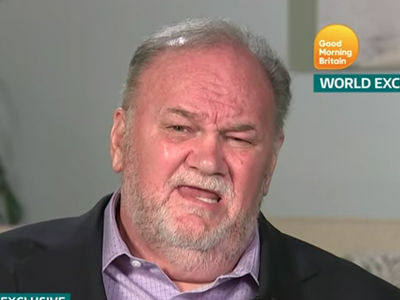 If Meghan Markle continues giving her father the cold shoulder, it might kill him ... or so Meghan's sister seemed to insinuate in an angry tirade. 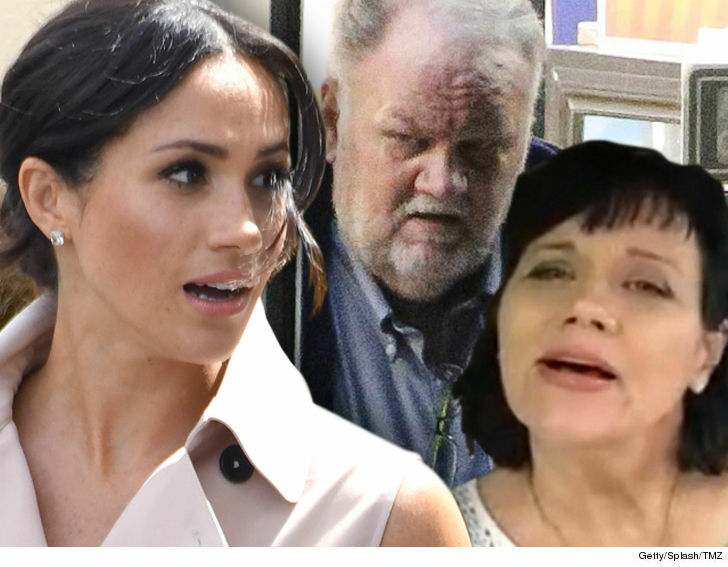 Samantha Markle went off Tuesday evening, ripping into Meghan for allegedly shutting Thomas Markle out of her life. She said, "If our father dies I'm holding you responsible, Meg!" She also chastised Meghan for "paying tribute" to others while dissing her own blood. Meghan and Prince Harry attended a Nelson Mandela tribute yesterday. As we reported, Thomas is vowing to continue speaking out to the media, at least until he has contact with Meghan. He told us no one is responding to the phone numbers he was given to reach her. Samantha defended Thomas, saying ... "My father is not an embarrassment for loving his daughter. The royals are an embarrassment for being so cold." 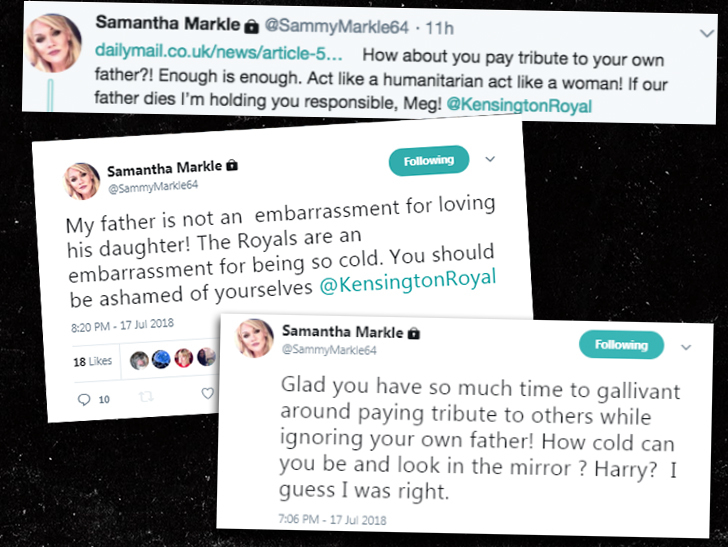 There's plenty of bad blood between the half-sisters -- this isn't the first time Samantha's lashed out at Meghan. As far as we know, Thomas is not in any immediate health crisis -- however, he did have that heart procedure that kept him from attending the wedding.